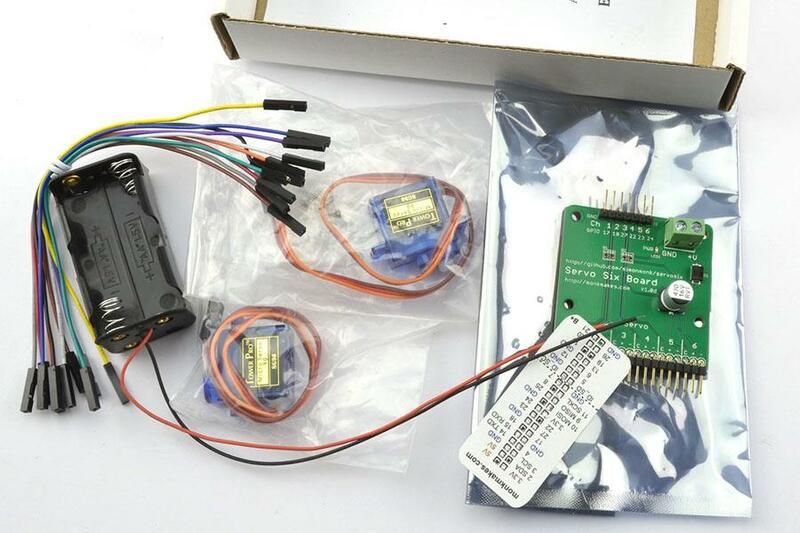 The Monk Makes Servo Kit for the Raspberry Pi allows you to connect the two included servo motors to your Raspberry Pi using the Monk Makes ServoSix interface board. 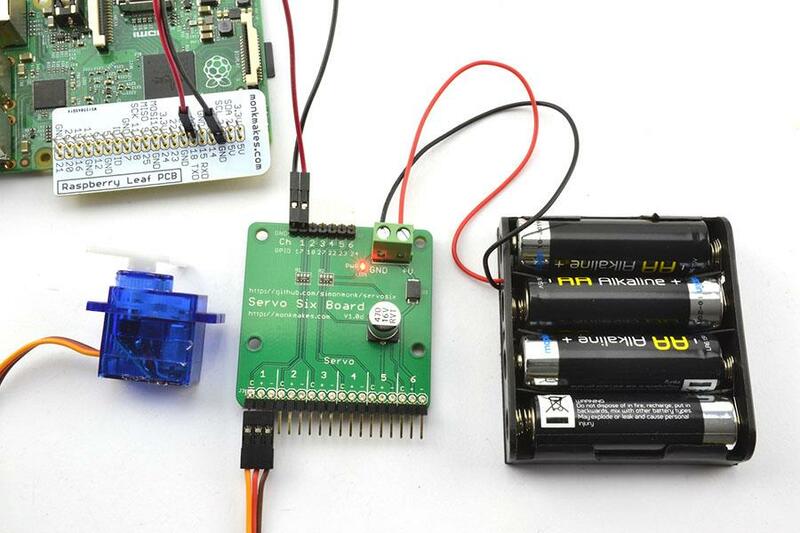 This kit allows you to connect the two included servo motors to your Raspberry Pi using the Monk Makes ServoSix interface board. Note: The Monk Makes Servo Kit for the Raspberry Pi does NOT include a Raspberry Pi. The Raspberry Pi board will need to be purchased separately.